After serving several years on the Board of Directors of the Children’s Rehabilitation Hospital, Jeffrey A. Curran has stepped into the president’s role. The Children’s Center Rehabilitation Hospital is a nonprofit hospital serving children and teenagers with complex medical and physical disabilities. Jeff is active in both the legal and local community. 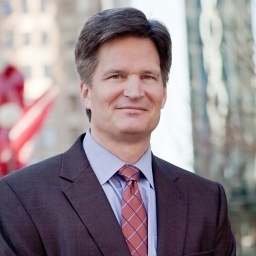 He is the immediate past Chair of the Defense Research Institute’s Automotive Specialized Litigation Group. He is also the former vice-chair of the DRI’s Automotive SLG, as well as the former Chair and Newsletter Editor for the Automobile Law Committee of the ABA’s Tort, Trial and Insurance Practice Section. Jeff is a member of the International Association of Defense Counsel, the National Academy of Recording Arts and Sciences, the National Fire Protection Association, the ABA’s Products, General Liability and Consumer Law Committee, Insurance Coverage Litigation Committee, Intellectual Property Committee, Litigation Committee, and the Entertainment and Sports Law Forum. He is a member of the DRI’s Product Liability Committee, Insurance Law Committee and Trucking Law Committee. Jeff is also a Certified Fire and Explosion Investigator. Jeff has been elected to a three-year term on the Board of Directors for the Oklahoma County Bar Association.